"This is a simple and delicious side dish. 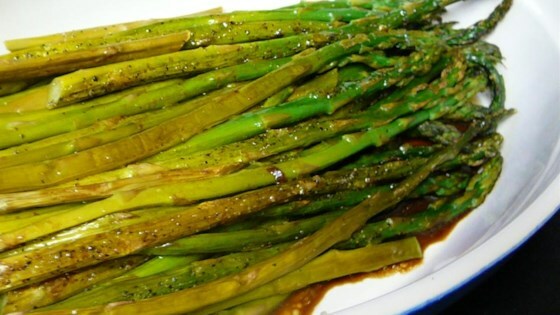 Fresh asparagus is baked until tender, and dressed with a blend of butter, soy sauce, and balsamic vinegar." Not only healthy but good for you! A MUST: Brown the butter for the full richness of this side dish!